Seward stands on top in 2018. 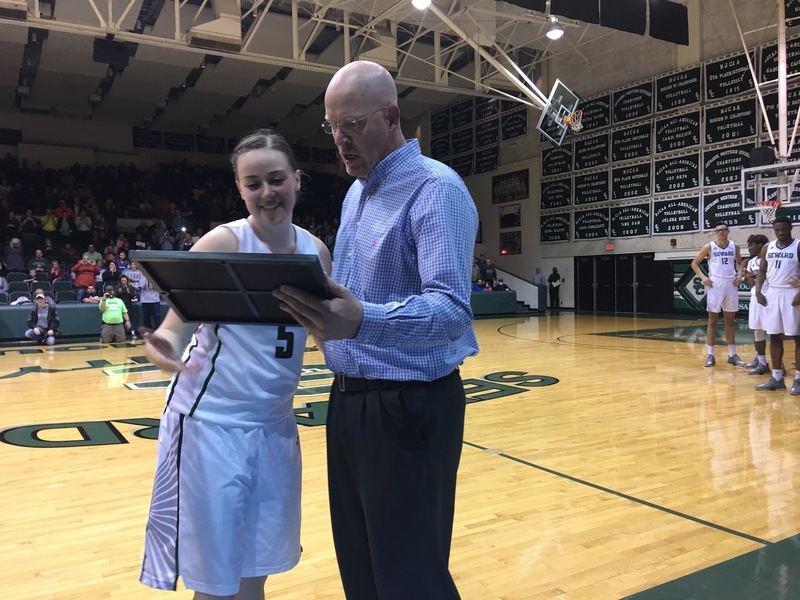 The Seward Lady Saints won the Jayhawk Conference with a 98-39 win over the Dodge City Lady Conqs Saturday night in front of a big Green House crowd. 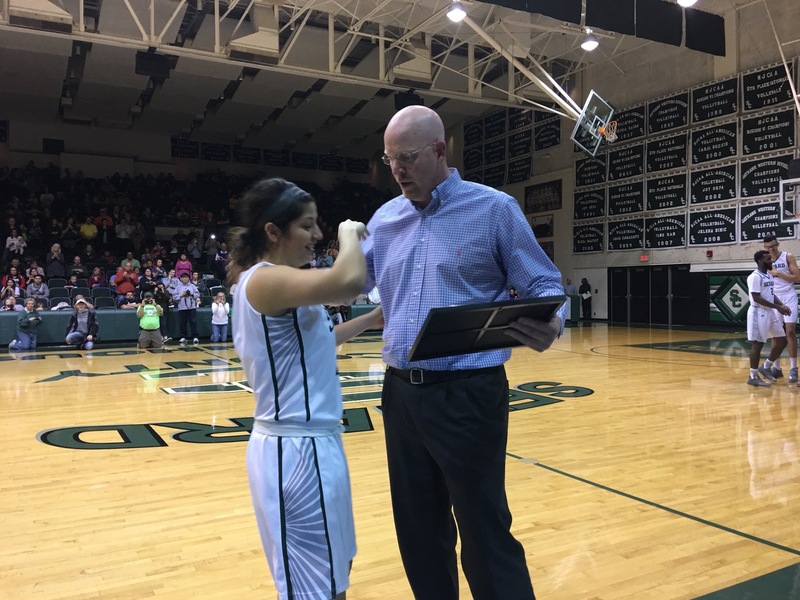 Hutchinson defeated Independence in Hutchsinson clearing the path for an outright conference title for Seward. It’s their first since 2010. 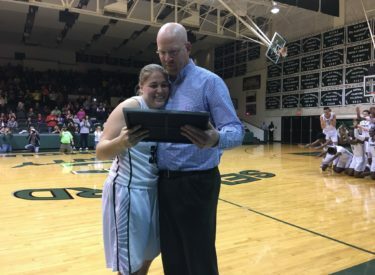 The Lady Saints shared the conference last year with Hutch and have now won back to back conference crowns for the first time since 2004 and 2005. It was also a night to celebrate Seward’s four sophomores who played in the Green House for the final time. Mollie Mounsey, Brennyn Seagler, Valerie Caro, and Vanessa Caro are now 58-6 in their two seasons at SCCC. Seward jumped to a 26-6 lead after one quarter and led 42-8 and led 52-13 at the half. SCCC led 74-29 after three. Mounsey went 8-10 from three point range. Her eight three’s are tied for the second most in history trailing her own 10 three pointer game from last season. Stephanie Thiel and Stephanie Rhoten made eight 3’s in a game as well. Seagler added 10 and Silvia Veloso had 10 points and eight assists. 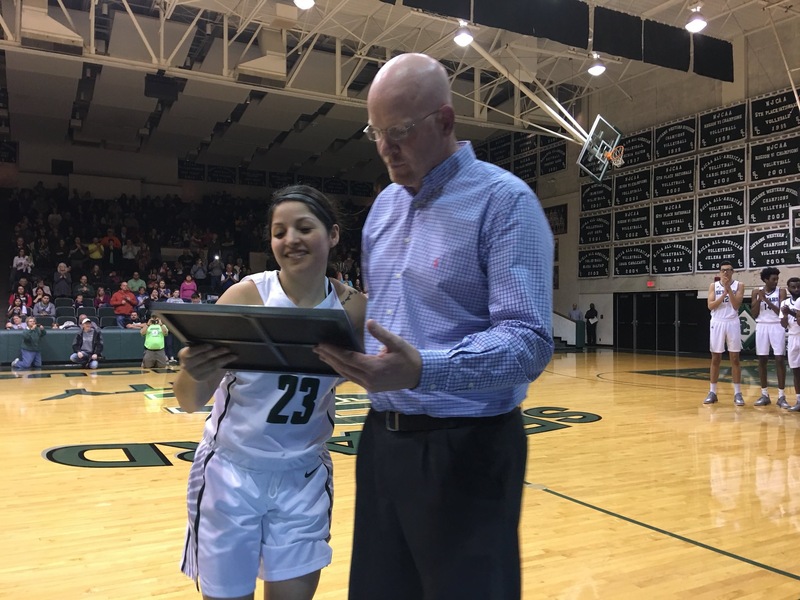 The Lady Saints harassed DC3 into 40 turnovers while Seward had 29 steals and 20 assists. Seward is 26-3 overall and 22-3 in the Jayhawk. The Lady Saints play at Garden City Monday night at 6 with Saints Shootaround at 5:45 on 107.5 and kscbnews.net.